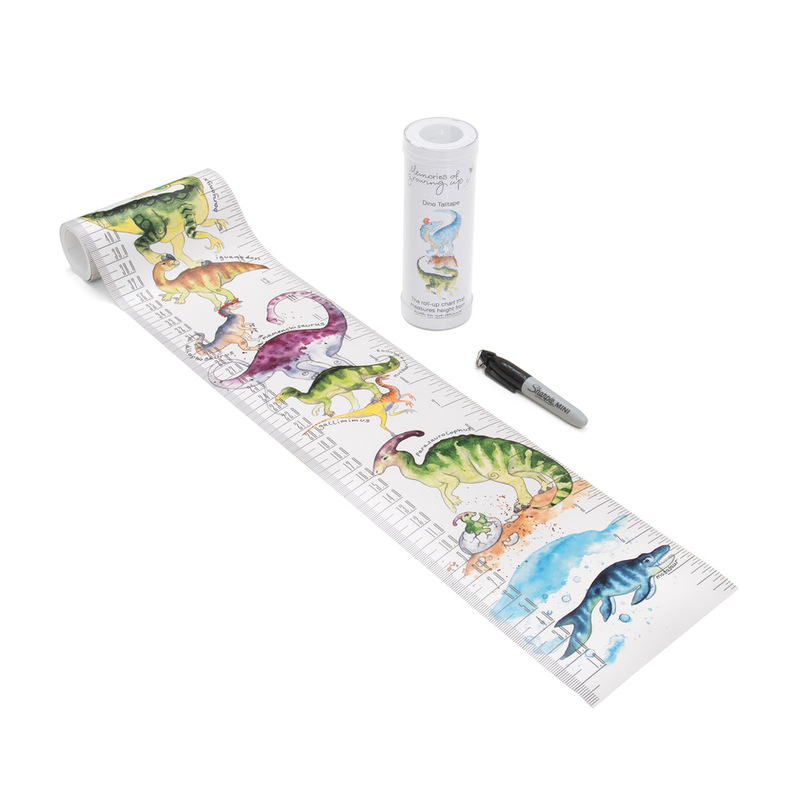 Recently, I was thrilled to work with London-based company "Memories of Growing Up" who asked me to design a tall tower of 30 individual, characterful dinosaurs for their “Talltape” range. Each dinosaur is unique and annotated by hand with his/her scientific name. I had a lot of fun designing it! I aimed to include a broad variety of dinosaur species, so that children can discover the wide spectrum of different types. They are all (approximately!) sized to scale in comparison to one another. The dino Talltape is available to buy in my online Etsy shop now. Find it here!